Conceptualize an experience designed to improve employee engagement and elevate the company’s brand. Inspired by the historical rite of passage in Europe, the Cisco Grand Tour targets the growing Millennial workforce and combines the global trends of remote working and philanthropy. The program invites employees to travel and work on Cisco Corporate Social Responsibility projects while living together in a network of co-living spaces, equipped with remote work technology. The collected experiences can be easily shared via the Grand Tour app onto the Grand Tour content platform, bringing the rest of Cisco on the journey through visual stories and live streaming. Logo utilizes secondary Cisco colors and a gradient to suggest action and change while retaining the simplicity of the original logo. 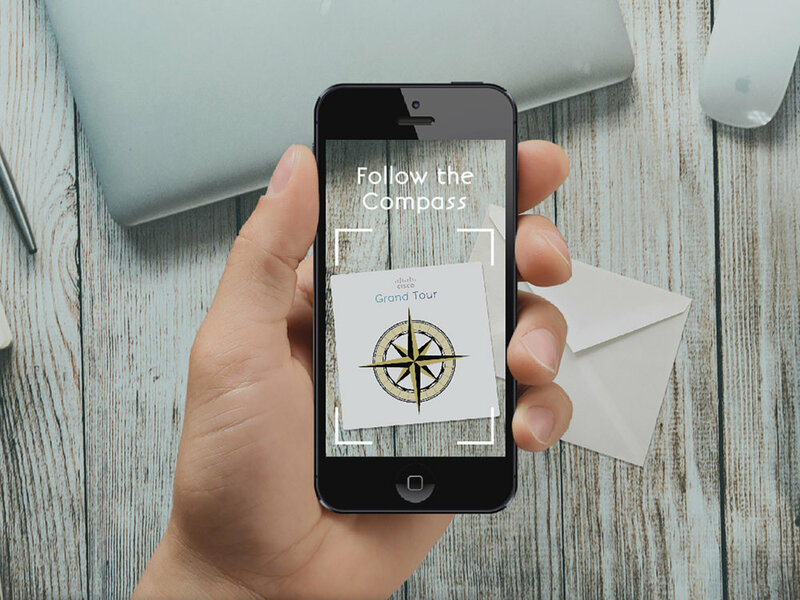 Employees are notified by a letter that prompts download of an augmented reality app that will let the employee choose their location. The app is later used as a content uploading and project management tool. The home page of the content platform evokes the familiar layout of visual sharing sites. Individual profile page provides a map visualization of the individual’s Grand Tour and organizes all content as a timeline to emphasize personal progress. Country profile pages are also available for those interested in the progress of a particular project site.